As we age it may become more difficult to maintain an active lifestyle, but it becomes even more important that we do so. Regular exercise not only helps us stay fit, it can also ward off depression, manage symptoms of illness and alleviate pain. In addition, studies show that exercise may improve mental alertness and memory, as well as lower a person’s risk for heart disease, certain cancers, and other serious health conditions. Even if you haven’t exercised regularly before, it’s never too late to start. Caregivers can set daily tasks in their home care system and home care software to remind their senior clients when it’s time to exercise, as well as monitor their progress. 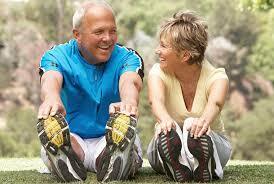 Exercise is the key to healthy aging, but starting a regular routine may be challenging. Seniors may feel discouraged by their advancing age, lack of energy, or limited mobility. Some might also be concerned that they will overdo it and injure themselves. While these may seem like valid reasons to avoid exercise, even seniors who suffer from a chronic illness can find ways to increase their activity level and enjoy the benefits of regular exercise. Before beginning an exercise routine, seniors should check with their physician and get cleared for increased physical activity. Caregivers can easily communicate with doctors and family members using ClearCare Online’s home care system and home care software. When all members of the care team are aware of the senior’s health conditions and exercise goals, it eliminates confusion and allows for better management of patient care. Check your local YMCA or fitness centers to see what classes are offered for seniors. Caregivers can use their home care software to set daily reminders for when each class takes place. Helping seniors enjoy their golden years in the comfort of their own homes involves more than just standard daily care. Caregivers who use innovative home care software like ClearCare Online have the unique opportunity to make a real difference in the health and well-being of their senior clients. By encouraging regular exercise, caregivers can help seniors develop healthy lifestyles that will benefit them for years to come.